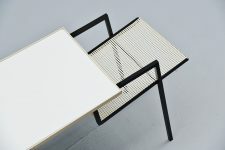 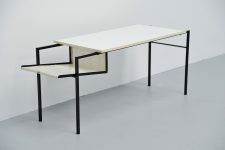 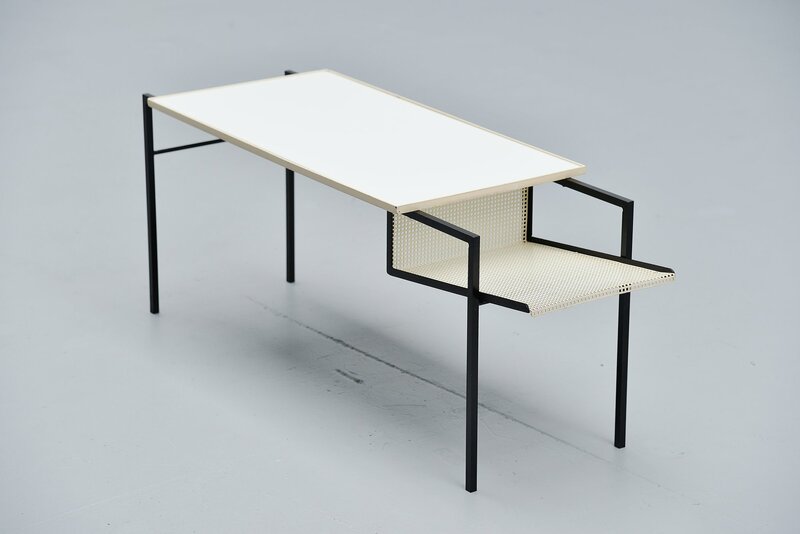 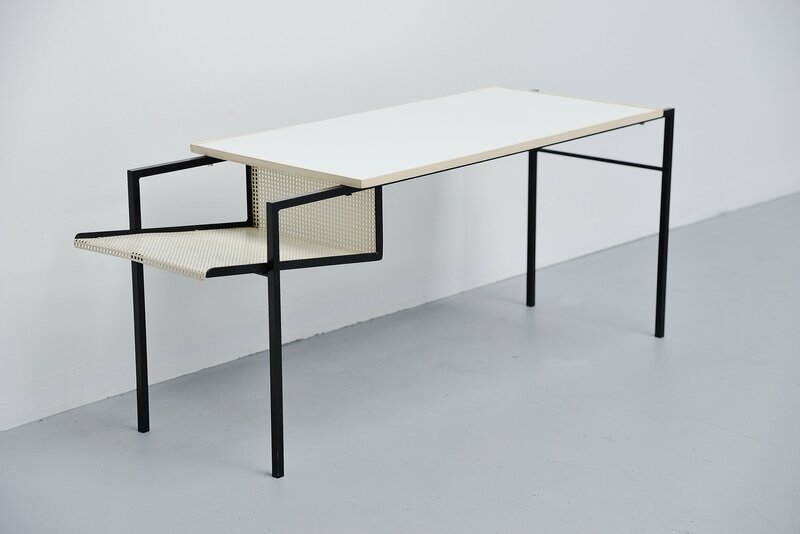 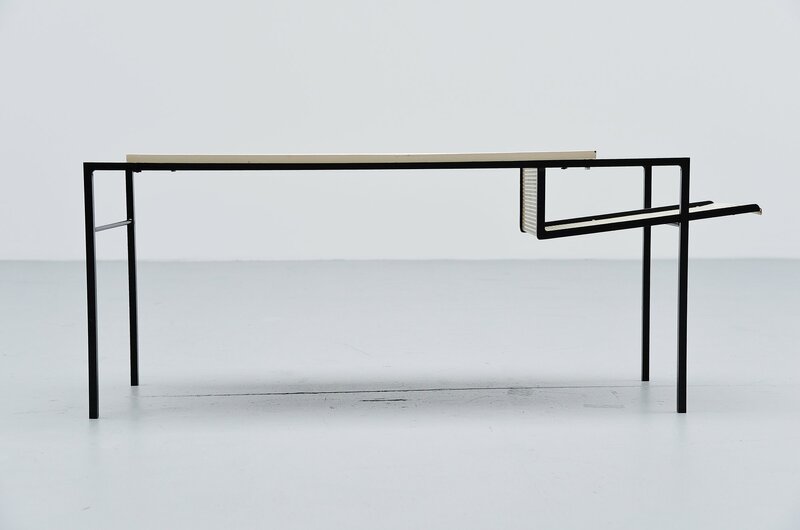 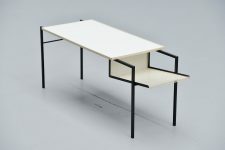 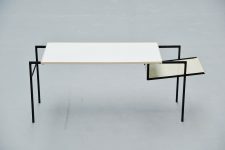 Super rare side or magazine table designed by Floris Fiedeldij for Artimeta Soest, Holland 1955. 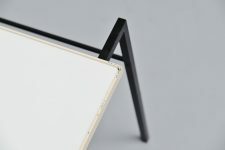 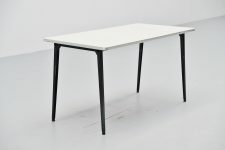 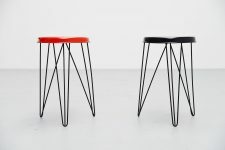 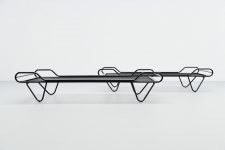 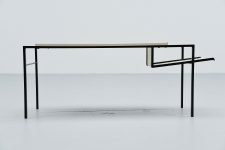 This rare table has a solid steel frame, black lacquered. 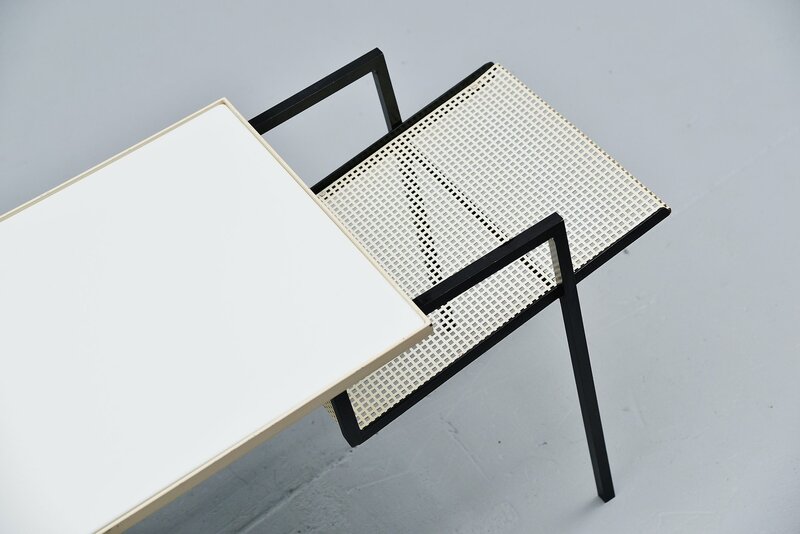 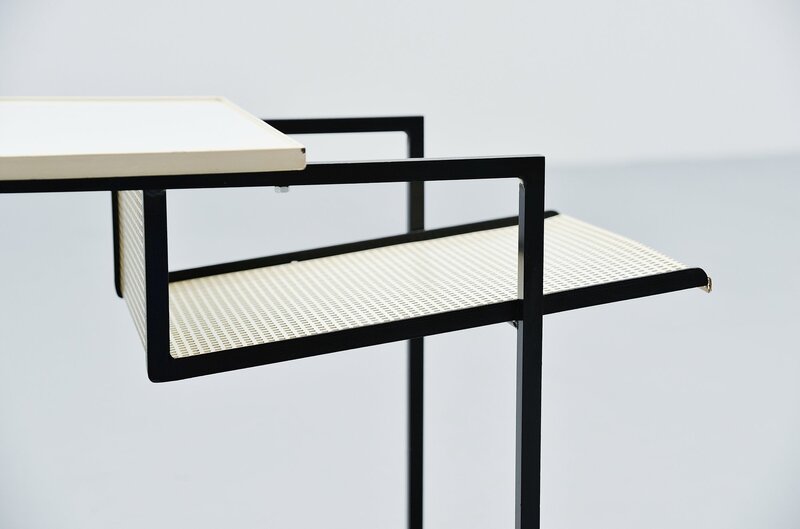 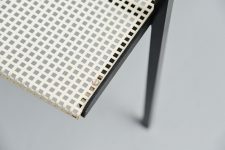 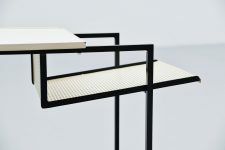 A white glass top and a die cut magazine rack. 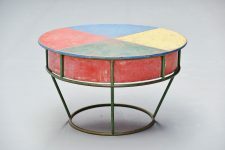 The table is in original condition. 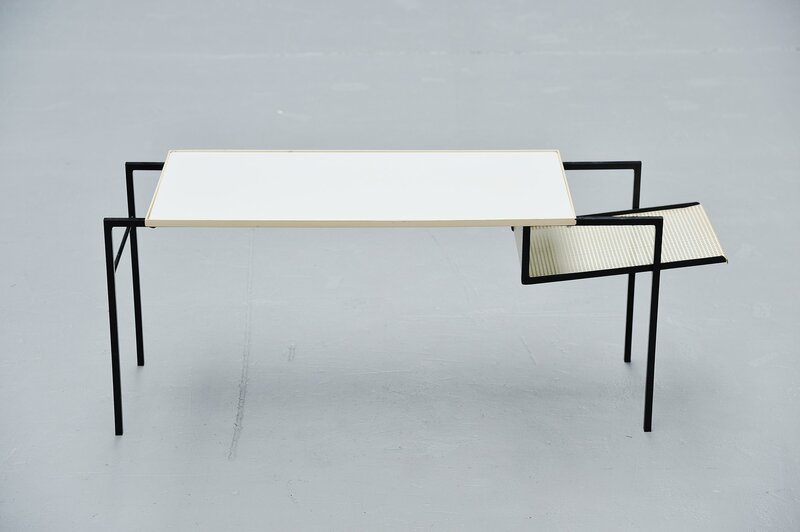 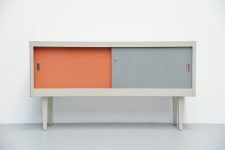 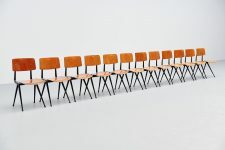 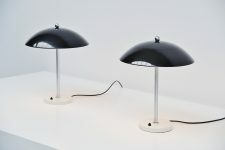 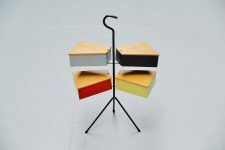 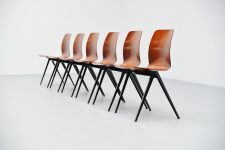 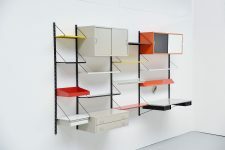 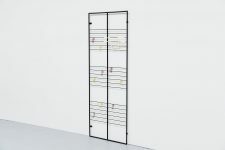 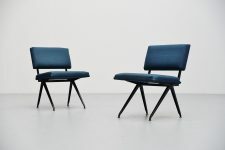 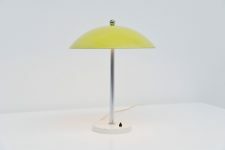 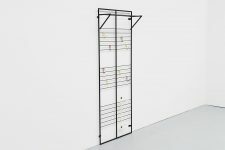 A fantastic piece of Dutch Modernism design that will look amazing in any modern home, interior or office. 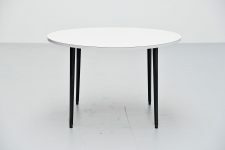 Have a look at the matching nesting table set we have in another listing.